Predictions concerning James Patterson’s BookShots initiative ran the gamut from their being the saving grace of the publishing industry to their being responsible for the dumbing down of the World’s populace. One might easily surmise that the true reality resides somewhere between these two polar extremes. I will confess, prior to reading one of these novellas I was more in the latter camp; but now that I have had the experience of consuming one, I am much more neutral about them, leaning towards their positive impact. 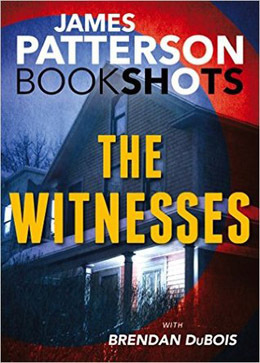 The Witnesses is about the Sanderson family, four individuals forced into witness protection for their own safety. Jumping around to give readers the story from the vantage of various folks – from the family members themselves to the noisy neighbor next door, from those who are hunting them to those intent on keeping them alive – the story careens forward at break-neck speed to its thrilling finish. As is James Patterson’s trademark, Brendan DuBois employs the briefest of chapters to facilitate this forward momentum. The action starts on page one (with a BookShot there is no time for scene setting or exposition) and doesn’t let up until the final sentence. This velocity also means that there is little time for deep character development, but I was surprised how DuBois was able to provide touchstones to at least ground each character in reality without sacrificing a moment of excitement. This is most likely a result of Brendan DuBois’ talents as a writer and other BookShots may vary. The Witnesses is certainly not a ground-breaking achievement, but as a means to pass a few afternoon hours, I can not fault it. The plot is solid – albeit a bit predictable for those who read heavily in the genre. For those less familiar with thriller tropes, the twists in this one might surprise. Certainly, fans of James Patterson’s novel-length works will feel very comfortable in this new environment. Think of it as the difference between an action movie and an art house film, if you will. They can both be enjoyable for very different reasons. Listen, I am all for anything that gets people reading more. I always find it ironic that those claiming to not have the time to read are the same folks who see every new movie that is released, have record high scores on Pokemon Go!, and fill hours with various other discretionary entertainments. There is nothing wrong with that, but don’t be deluded by convincing yourself that you simply don’t have time to read. Most individuals, if devoting just one hour to reading each day, could consume one standard-sized book every two weeks (conservatively). 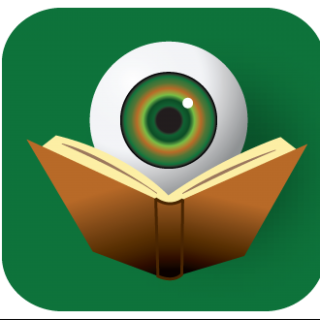 If the Bookshot movement persuades a few of those non-reading folks to sit down for a few hours to enjoy a novella, more’s the better. There is certainly something to be said for being able to complete the whole story in one fell swoop. And just maybe those that enjoy these short tastes will next reach for the longer works. Wouldn’t that be a great thing? The quality of the BookShots line is sure to vary from book to book, and I myself am unlikely to be a massive consumer of them, but when one comes along from a known entity such as Brendan DuBois, I will most definitely not shy away from giving it a chance. Thanks Art. It’s all about allocation of time. People make choices and that is fine, even expected. But I hate when time is used as an excuse for not reading. Sure, there are folks who truly don’t have the time to read (and I know how blessed I am that I am no longer in that position), but those numbers are much lower than those who simply choose to do other things rather than read. These two things are very different.